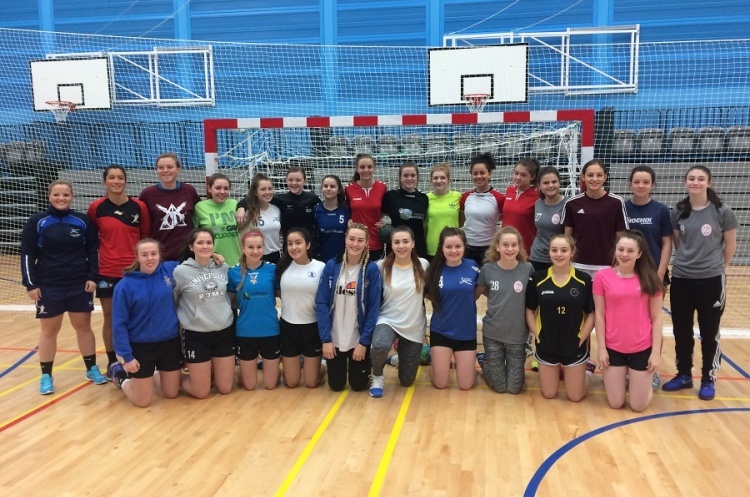 Heriot Watt University in Oriam saw 24 players from around the UK, as well as Germany and Denmark, take part in the first girl’s under-17 GB team trial. The standard of play was impressive, as was the attitude of and application of all the players. Thanks go to Scotland Handball who booked the time at the excellent Heriot Watt facility, and to the support provided by the parents of the players. Training sessions are also scheduled for 19 November 2016 at Oldham and 10 December 2016 at Trafford Soccerdome.